Women love to look smart, pretty, and beautiful all the time. That is why salons make good money. You will see them mostly occupied with women getting haircuts, hair dyes, and other hair and skin treatments. And now, salons offer cute nail designs too. There are so many nail art ideas and designs to choose from. I have listed a few here. Take a look. It is safe to say that nail designs have been a decade old trend yet more of a status symbol. Not long ago, nail art has developed into more easy designs that you can do at home even if you are not a nail art wizard. Just painting your nails red these days are not enough anymore. There are some artistic and easy nail designs to transform your nail painting into real nail art. You should try these artistic fashion trend. You don’t need to go out and buy specific tools and products; you only need to have some motivations. To be on trend, take a look at our top 10 cute nail designs that you can do at home. You don’t have to search further if you are looking for a new way to wear your favorite polish colors. The simpler, the better. The parts should be elegant and edgy like a good old-fashioned manicure with a twist. This striped negative space manicure has a cool and colorful design that are not too loud. You have to form a v shape at the base of your nail and switch it up to give it a new and fresh look. Just flip the design and make it more complicated by incorporating negative space and leave the rest of nails bare. To give your nails a unique and monochromatic twist, try alternating the black and white triangles. Nowadays, Aztec and tribal patterns are very popular because they are so easy to do and it has a cool look and graphic as well. This minimal update of the half moon manicure is the best of both worlds. It is pretty, edgy, and fresh. Go for a nice straight line and add some studs. This little twist on the trend proves that less is more. Inspired by the classic half moon design, the lanula is painted while the rest of the nails are left bare. To make your nails look cuter and warmer during the cold winter days, apply pink and purple colors that will serve as your base. Then, form snowflakes on top of it with a pointed edge of a toothpick or a thin nail brush. Nails with shiny rhinestones are so beautiful. A makeup sponge will be a great help to create gradient color. Paint your nails in peach color with white and gold flowers to make your nails lively and cute. If you love to do puzzles, then this design is really for you. It looks complicated and time-consuming but you need to try this very interesting design. The combination of blue, light blue and silver nail polish is really spectacular. Your nails will look like they just came out of the salon with a little help from a scotch tape. These are our top 10 cute nail designs for beginners. Try these designs and add your own creativity to them. You can mix any patterns you like in a creative way. The most common designs are stripes and dots. If you love a pretty and romantic look, you can try a floral print. Different kind of flowers can spice up your day. You can try a wild-chic animal print if you would like to look sophisticated. Zircos, bows, and beads can give you a more dramatic look. Light pink, coral, blue, and mint are perfect colors to use as you decide the best nail designs that are right for you. Nail art is cool but its popularity was on the brink of extinction some years ago. Today, decorous manicure designs are emerging again in a major way with the help of salons to make the trend relevant. There are many simple designs and you can easily select one from them. Some designs will come with uniqueness and will give you a nail art in one swipe. Others have different sequins mixed in them and there are also some that contains magnetic properties that will give your nails a total san effect. Neon is in: as far as the nail polish designs are concerned, it is one of the trends that will surely top this year. It is true that digital prints and neon colors are in. Applying these designs to your nails could add a trendy and funky theme that will suit your mood. It makes a strong statement and looks amazing for any occasion. Solid with shiny: paint a part of your nail a solid shade of nail polish and the rest in shiny nail polish of the same shade. For a more dramatic effect, keep the design a tad asymmetrical. 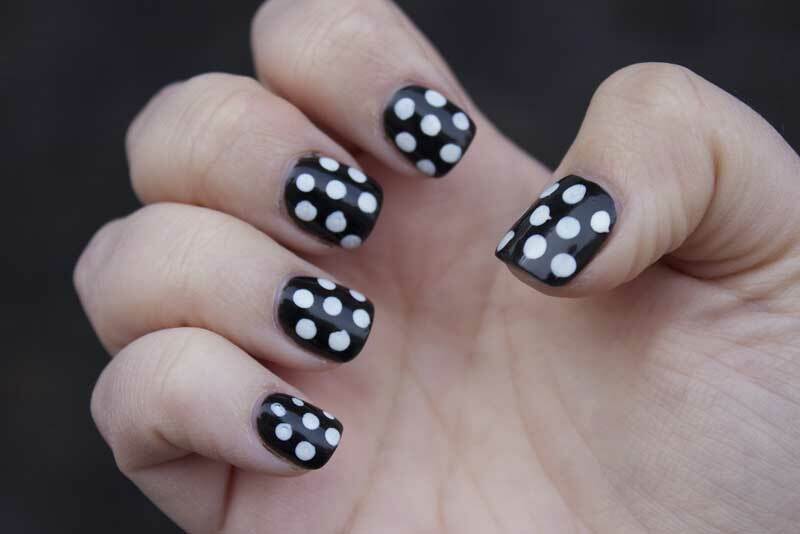 Dots and reverse: paint a couple of your nails a background and add polka dots in another color. Paint two more nails in the second color and polka dots with the second color. Lastly, paint the thumb a solid color to make it more striking. Glitter and plain: us a plain color that will serve as a background and add glitters to the tip of the nails. This is a very easy and quick design to make your nails more festive. Jewel-like tones: color your nail in a jewel-like tones that will match to your outfit. This is a very simple way to use nail polish effectively. Pastel and geometrical: use a pastel shade nail polish as a background then add a geometrical design to every nail for a striking effect. Hearts and crosses: you need to use a white or plain background to draw a series of heart shapes designs. Themes and galore: paint each of your nails in a different design based on the theme or motif with same colors. Glitter up the border: add glitter on the moon shaped part of your nail to make it look classy and attractive. Glow and tribal: purchase a nail polish that glows in the dark and creates a tribal design on top to make it look really good. When it comes to best nail designs, we don’t mess around. Love it or hate it, nail design is a full-blown trend. Nail designs are very popular these days and you can try several of these designs at home if you have some craft supplies for you. You can also buy some special materials from decor stores. Though nail designs are infamous for being difficult to do at home even you have all the right tools and colors, you can still do your share by making your nails strong and beautiful. You need to take good care of your nails and consider them as one of your assets. There are many art designs that you can imagine. Before doing any design on your nails, it is always good to start with cleaning your nails. With the help of some special brushes that are available in the market, you can easily clean your nails. Some of these brushes are also important in the preparation of your nails. Nail art is enhancing your nails and you would like to grab the bright polishes and feel their colors. If you are looking for easy nail designs that will complete your ideal looks and will add some amazing and perfect final touch, this list is everything you need. This is one of the most comprehensive and trendiest options that is really creative. In order to add a little something extra to your overall look, you have to invest time in finding a perfect nail design ideas that will suit your personality. Always find a nail polish that has the highest color pigmentation. It is also good to allow your nails to breathe. Sometimes, it is good not apply any design on them. Walking out of the nail salon with freshly colored nails will give you a new feeling of happiness and excitement. You will hold your wine glass differently. 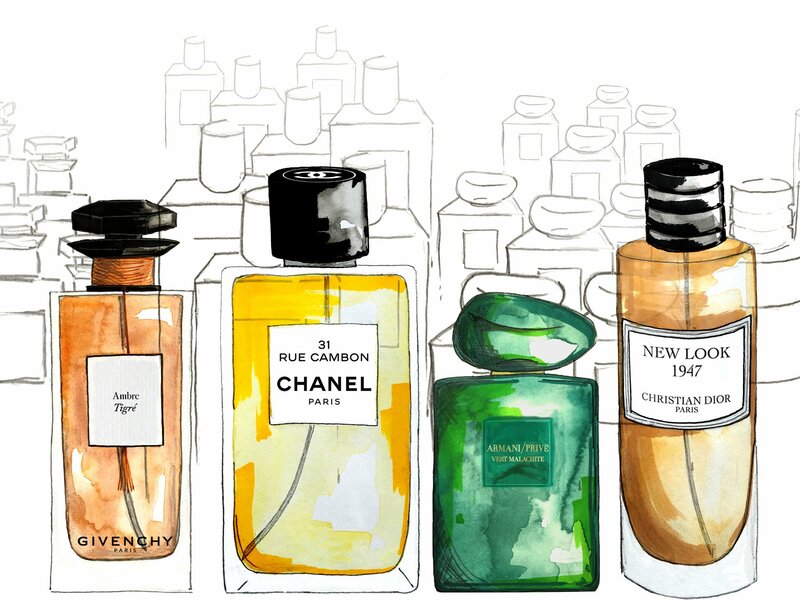 Your outfits will breathe new life. You will feel like you can take over the world one at a time. 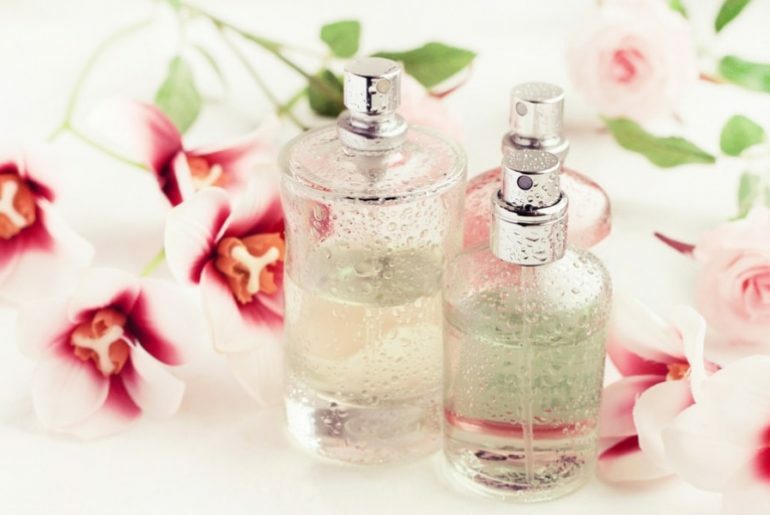 Nail polishes are also an essential key accessory like your scarf and necklaces. There is nothing more that can compare to a feeling of having a fresh and perfect looking nails. The choice of nail color should also reflect your personality and your taste. It also has to fall in the right season and should speak about yourself. Your nail polish should also be chip resistant and dries as soon as possible. Nails are the essential part of the body and you are one of those females who would like to beautify your nails.